We all want to have our cake, or in this instance, ice cream, and eat it too. 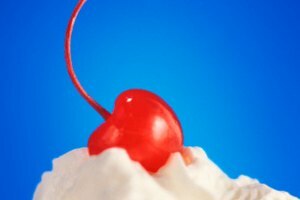 Everyone craves sweet treats such as ice cream, but no one wants the fat and calories associated with such an indulgence. In line with current trend for Americans to watch their weight and balance their diets, many ice cream manufacturers are unveiling healthier options, many using skim milk instead of whole milk. Ice cream made in this manner has benefits and drawbacks, leaving consumers to decide which option best fits their needs. 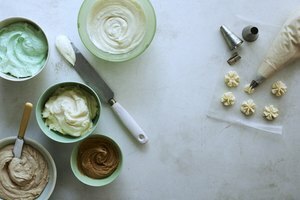 Replacing whole milk or 2 percent milk with a lower fat option when making ice cream goes along way toward reducing the fat and calorie contents. Using skim milk instead of its higher-fat counterparts provides ice cream lovers with a healthier choice when strolling the frozen treat isle in grocery stores. According to the U.S. Department of Agriculture, making ice cream with skim milk instead of whole milk consists of 64 fewer calories and about eight less grams of fat per one cup serving. The more fat found in the milk used, the richer and creamier the finished ice cream product usually is. Lowering the fat content in ice cream also lowers the taste appeal of that product. According to Journal of Dairy Science, test panels have shown that lower fat ice creams often produce less desirable tastes. The Journal of Dairy Science test panel found ice cream made with skim milk to have a better taste than most other low-fat ice creams, but it concluded that full-fat ice cream was still the tastiest option. Making ice cream with skim milk instead of whole milk gives the finished product a different look and feel. 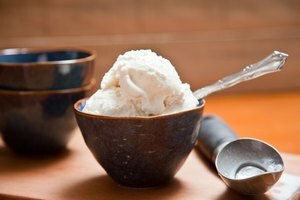 Milk fat is what gives ice cream its smooth texture, so an ice cream made with skim milk will be less smooth. 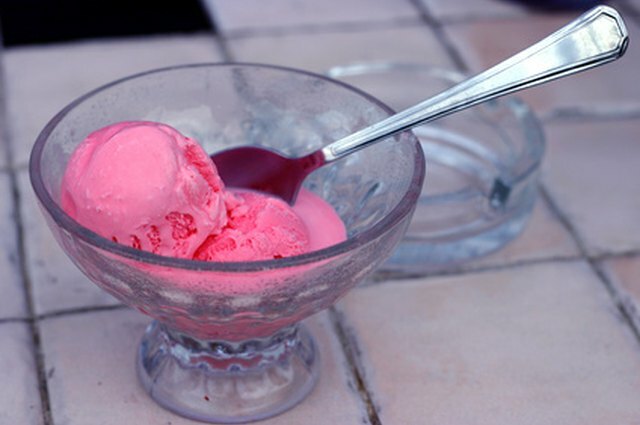 Low-fat ice creams tend to form a higher number of large crystals, a fact which contributes to the texture change. According to the Journal of Dairy Science, ice creams made of skim milk will also likely appear more yellow in color and have a softer texture. Lower fat ice creams also tend to melt faster.